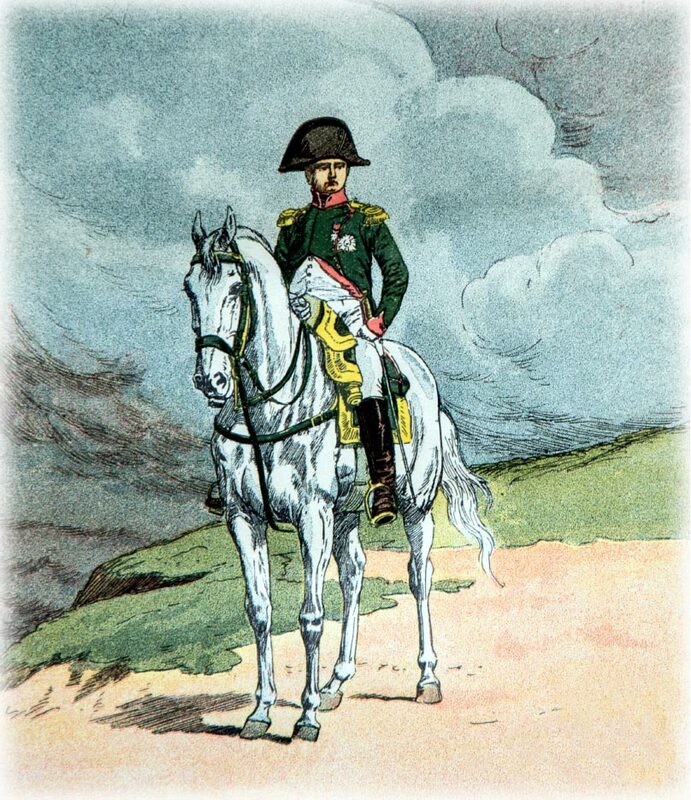 WoPC Home > Germany > Anon > Anti-Napoleon deck, c.1815. Deck from the liberation War against Napoleon, c.1815. Deck from the liberation war against Napoleon, c.1815. Lithography, stencil coloured, there are no manufacturer's details or initials on any card. Probably made in Germany. Clubs are for Austria; Spades for Russia; Hearts for Great Britain; Diamonds for Prussia. 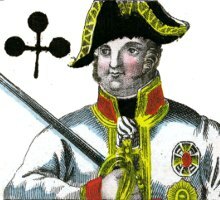 Kings are Emperors; Jacks are military commanders, Clubs: Schwarzenberg; Spades: Barclay de Tolly; Hearts: Wellington; Diamonds: Bluecher. 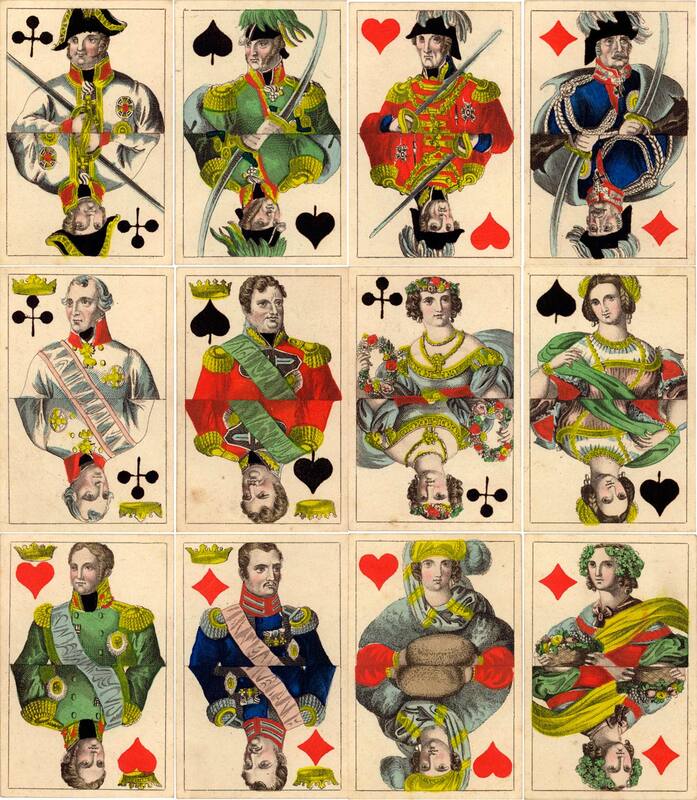 Above: cards from an anonymous deck from the liberation War against Napoleon, c.1815. From the collection of Klaus-Jürgen Schultz (http://spielkarten-sammlung.de). Nine of Hearts: Called “Nap” after the game of that name. Coincidentally there was in a Dresden Museum a Nine of Hearts on which some English words had been written by the Emperor Napoleon.